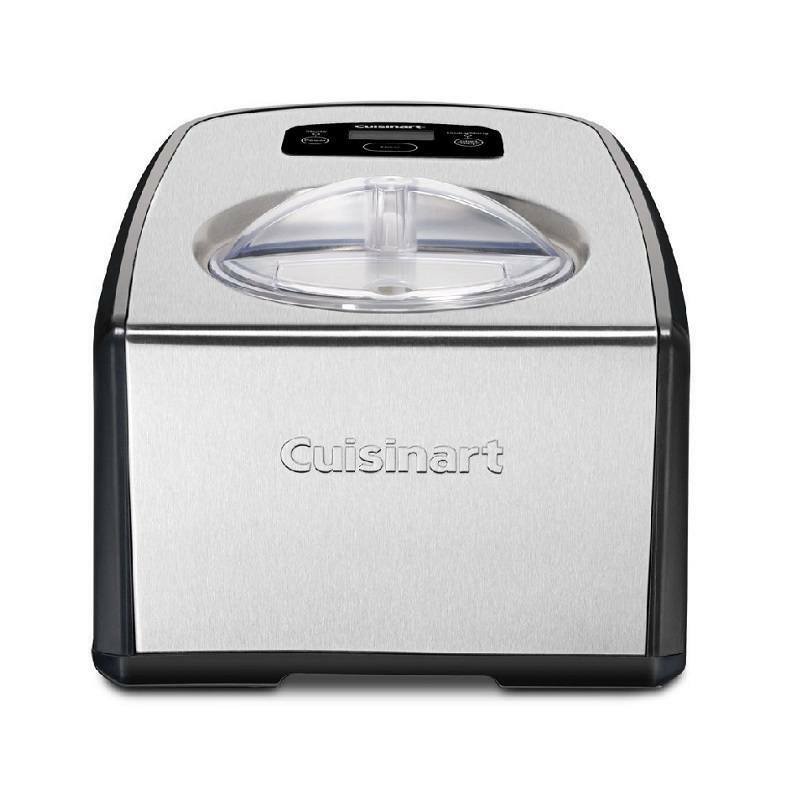 For the serious frozen dessert fan, there is the Cuisinart Compressor Ice Cream and Gelato Maker. This machine truly takes ice cream and gelato making to a different level. For those unfamiliar with Compressor style ice cream makers, let’s look at what sets them apart from traditional churn style makers that are so commonly available. A compressor ice cream maker has its own built in freezing system like that found on many home and commercial freezers. This allows for continuous freezing capability so you have the freedom to create batch after batch. The machine features 2 paddles. One paddle is specifically for creating the best quality ice cream while the other makes sure that you make delectable gelato with a consistency that will amaze your friends and family. With dimensions of 16 x 12 x 9 inches and a weight of 32 lbs this machine is large and substantially heavier than other ice cream makers so you probably don’t want to move it around a lot. If you have a small kitchen or lack of counter space this may be a problem for you. At $300 this is one of the more expensive ice cream makers out there however you are getting a professional quality machine and the freedom to use whatever ingredients you want. This also takes us back to the fact that this is a compressor machine so it stays at optimum freezing temperature. There is a 10 minute keep cool function so your ice cream stays in firm condition until you have a chance to get back to it. The fact that you can make batches back to back and not have to worry about freezing bowls ahead of time is a big bonus. The bucket that comes with the machine is pretty cool because it features a sturdy bail so you can easily lift it out and then serve or transfer. For best results mixed in hard ingredients should be added 5 minutes before you expect the ice cream to be completely done. This ensures that extras are distributed more evenly. If you wait too long you can always just incorporate ingredients as toppings. For those that are not familiar with homemade ice cream this is a pretty high end model to invest in. The taste and constancy of homemade ice cream may be different than you are used to so trying it out before investing in a $300 machine may be a good idea. Some of the complaints others have had is that the ice cream is not exactly like store bought. The reason for this is that store ice cream contains stabilizers and ingredients that are not going to be found in the ice cream you make fresh at home. Some report that this ice cream maker is louder than some but this is the case with many types of machines. What is loud to one person is not to another. Overall this is a great choice for those that want a full service machine that is built to last.